There was no good faith. The faith was rotten and cancerous. For me – as it must be for many Americans – it is difficult to watch the film’s jumble of “red peril” maps, unexplained interviewees, ineptly cut archive and maudlin American battlefield sequences. 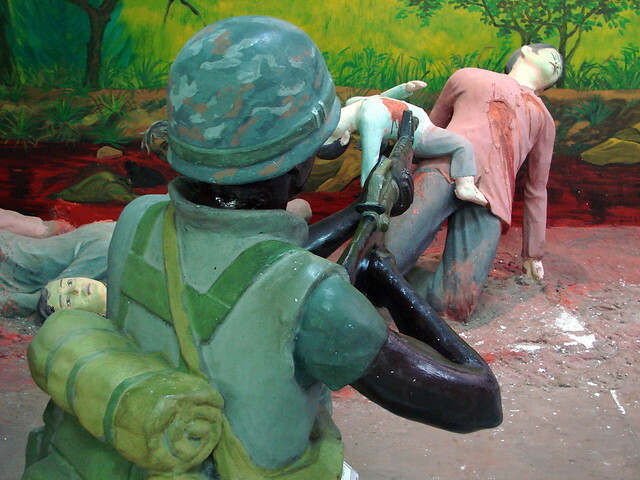 In the series’ press release in Britain – the BBC will show it – there is no mention of Vietnamese dead, only Americans. “We are all searching for some meaning in this terrible tragedy,” Novick is quoted as saying. How very post-modern. This entry was posted in All Posts News Politics and-or Videos, Anti-war, History, Imperialism, Politics, Propaganda and tagged John Pilger, Meet the new boss the same as the old boss, Vietnam. Bookmark the permalink. A timely indictment, and sober reminder ~ to think twice before rushing to endorse yet more wishful absurdities and moral contradictions….